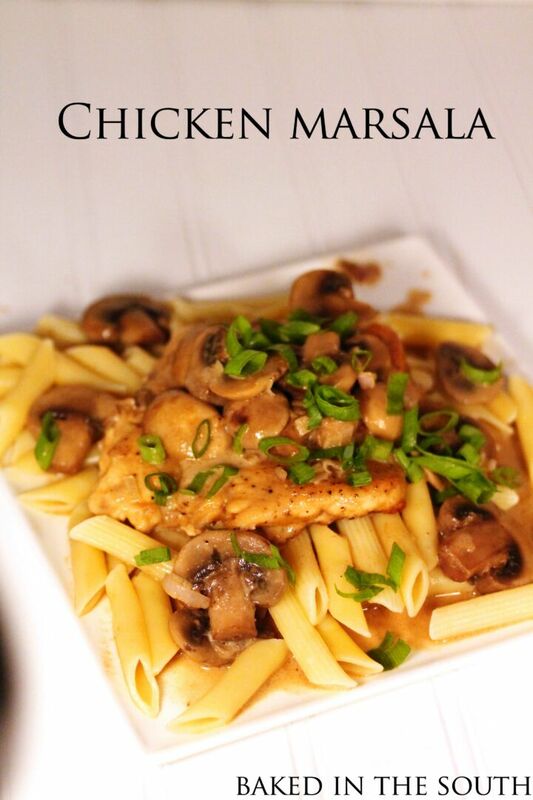 I love chicken marsala and this is by far the best recipe out there:) Don’t get intimidated when making meals like Marsala or Piccata. They really aren’t that difficult if you just learn the basics. Pound the chicken thin, bread in flour and saute in oil & butter. It couldn’t be easier once you get the hang of it. 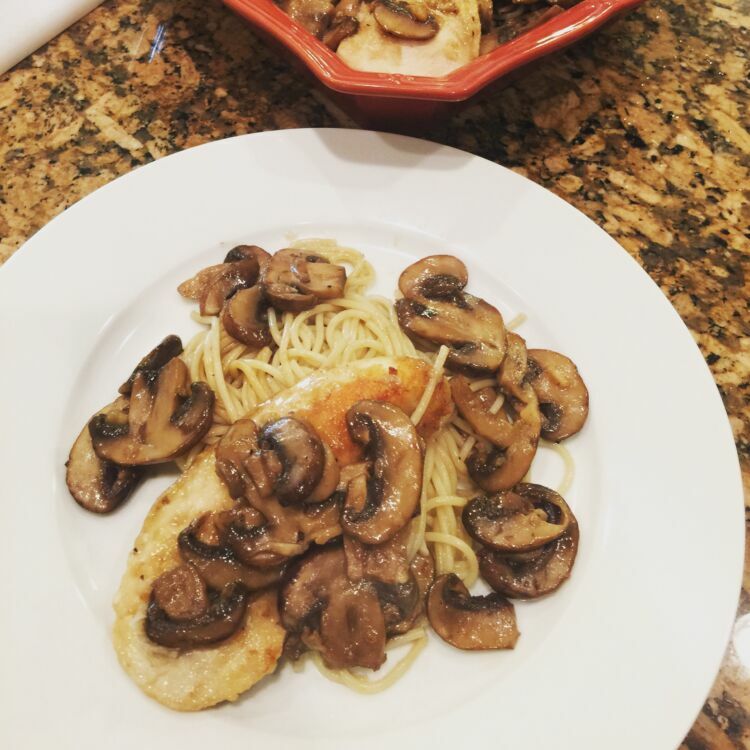 You will also want to use this technique when making Chicken Piccata. I served it over penne for something a little different. In a shallow bowl or plate combine the flour and salt & pepper and stir to combine thoroughly. Quickly dredge the chicken breast halves in the seasoned flour mixture, shaking to remove any excess flour. Heat the oil in a large skillet over medium-high heat until very hot but not smoking. Add 1 tablespoon of the butter and cook the chicken breasts until golden brown on both sides, about 3 minutes per side. Transfer to a plate and set aside. Add 1 tablespoon of the remaining butter to the pan and add the mushrooms. Cook, stirring frequently, until mushrooms are golden brown around the edges and have given off their liquid. Add the Marsala wine and bring to a boil, scraping to remove any browned bits from the bottom of the pan. When the wine has reduced by half, add the chicken stock and cook for 3 minutes, or until the sauce has thickened slightly. Lower the heat to medium and return the chicken breasts to the pan and continue to cook until they are cooked through and the sauce has thickened, about 5 to 6 minutes. Swirl in the remaining 2 tablespoons of butter, add salt and pepper, to taste. Garnish with chopped chives and serve immediately over hot cooked pasta. Sounds delish! A suggestion though swap out the 1 cup stock for 1 cup heavy whipping cream! It is so amazing!! Instead of chives try basil (fresh or dried) & I also sauté some minced shallots & garlic. You won’t be disappointed I promise!